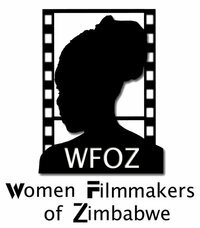 Republished from Wildtrack Newsletter by Women Filmmakers of Zimbabwe, 2nd Issue, July 20, 2011. The Women's Law Centre, having seen how powerful film is in conveying information one doesn't find in textbooks, partnered with the Women Filmmakers of Zimbabwe (WFOZ) to screen films from previous editions of the International Images for Women (IIFF), which is sub-saharan Africa's only gender-centred film festival, at the Centre's premises in Mount Pleasant. The Women's Law Centre, a department of the Faculty of Law at the University of Zimbabwe, amongst other things, runs the South East African Regional Law Centre (SEARLC), a regional Master's programme for students from southern and eastern Africa that specialises in law as it affects women. All the films chosen for the collaboration focused on women's lived realities. Dr Amy Tsanga, the Deputy Director of the centre, said the film screenings were a very useful teaching methodology. One of the films screened, THE GREATEST SILENCE, is a harrowing documentary that looks at the lives of the many tens of thousands of women and girls who have been systematically kidnapped, raped, mutilated and tortured by soldiers from both foreign militias and the Congolese army. Since this documentary, and others looking at the same issue , was made, some perpetrators of this heinous crime are being tried in the Democratic Republic of Congo. A local production by Nyerai Films, l WANT A WEDDING DRESS, which interrogates the choices women in their everyday lives especially concerning their sexuality, was also screened at The Women's Law Centre. Interesting to note during the discussions following the screening of this film, was the different perceptions the students held about the definition of what a" strong" woman is. The controversial documentary UNGOCHANI investigates the different views of the church, community, gays and lesbians about homosexuality. The documentary drew mixed reactions from different viewers especially since The Women's Law Centre embraces students from all over the continent who have different traditions and beliefs. At the same time, homosexuality is a taboo topic to most Zimbabweans who are extremely uncomfortable when talking about it. As women with goals working in different sectors, the Women's Law Centre and WFOZ confirm that working together provides more intellectual and practical opportunities than going it alone. Dr. Amy Tsanga, a senior Lecturer in Law at the University of Zimbabwe and activist with broad experience in gender, development, human rights law, activism, teaching, action research and information dissemination, said the partnership with WFOZ had proven to be very effective and the students were looking forward to another series of seminars in the second term.